XLA is proud to announce that along with pop singer Selena Gomez, multiple CEO’s, and foreign policy advisors to U.S. 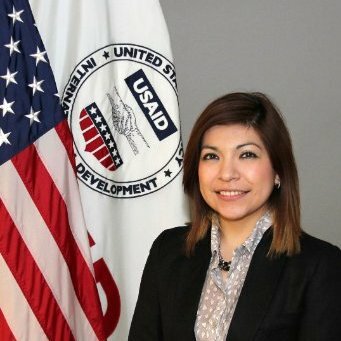 Congressmen, our very own Juana “Karina” Plascencia from the United States Agency for International Development (USAID), Latin America and Caribbean (LAC) Bureau was selected as one of the 40 Under 40 Latino’s to watch for in Foreign Policy and International Affairs (The Huffington Post). In our interview with Karina, she discusses what it means to her to be selected as a rising star in foreign policy and what made her get into the field of work. Growing up the daughter of migrant farm workers in rural Oregon, when Karina would visit her parent’s hometown in Mexico, she noticed that the children in Mexico were amazed that she knew how to spell her name and how to read. From that experience and growing up in a bilingual household, Karina was inspired to pursue a career where she could learn about different cultures and languages, while also being able to help people in developing countries get better access to basic needs. That desire eventually led her to pursue a degree in International Politics and International Development from Georgetown University. 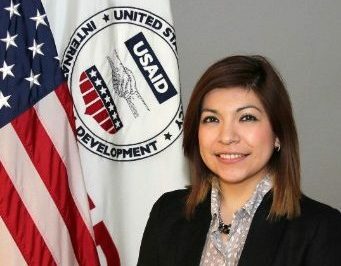 During her undergraduate studies, she interned for USAID. After graduation, she found a way to come back to USAID with the help of XLA. Karina feels honored to have been nominated and selected to the ‘40 under 40’ list that includes many rising leaders from other government agencies. Karina’s recognition shows the professional and personal achievement of an outstanding individual, and we at XLA are honored to have her as an employee. She works diligently day in and day out to accomplish a noteworthy mission and her contributions to USAID have not gone unnoticed.